Meet Cameo. 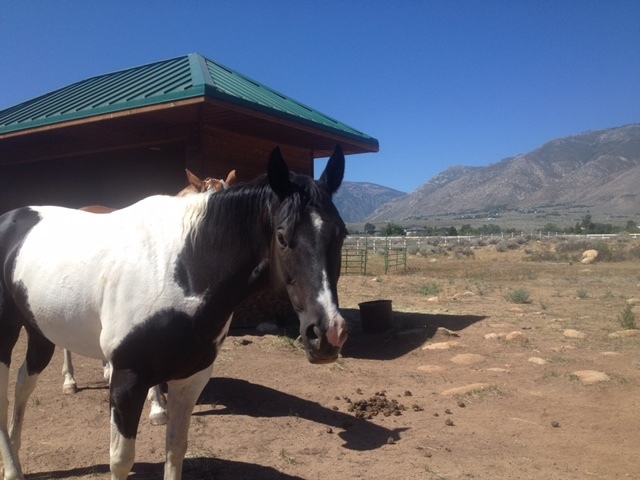 Cameo is an 11 year old registered Quarter Horse. Cameo is in need of a retirement home. 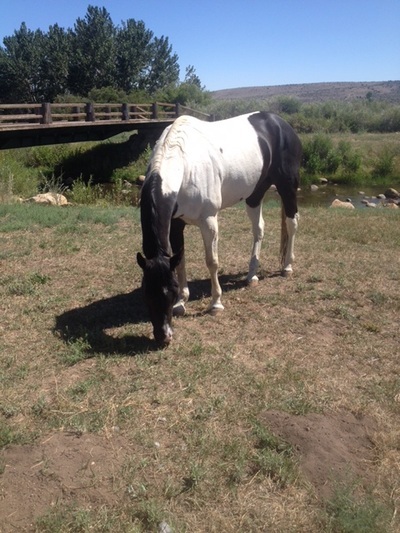 Her owner stated that she previously rescued Cameo and is a Parelli instructor so has done Parelli ground training with her and Cameo knows all of the Parelli games. However, Cameo has been chronically lame and should not be ridden. The owner has had her examined and the vet believes it is a tightness in her stifles. Cameo has very good ground manners and is a sweet girl. Cameo has been with her friend Pursuit for the last year and has bonded to him. It is not required to take them both, but Cameo does better with a friend. Pursuit is also listed on the website. Cameo is located in Markleeville, CA. If you are interested in Cameo, please contact AAE.